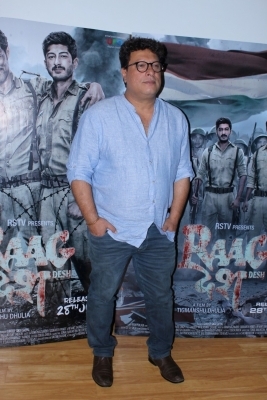 Kolkata, July 21 (IANS) Filmmaker Tigmanshu Dhulia’s forthcoming film “Raagdesh” on the contribution of Netaji Subhas Chandra Bose’s Indian National Army (INA) in India’s independence, should be welcomed by all regardless of differences, feels a member of the Bose clan. According to Bose’s grand-nephew Sumantra Bose, a noted expert on international and comparative politics, the film’s content should be deemed to be above party politics. “I would be very surprised if there is any problem because this is a story of heroism…it’s a story of freedom struggle and above all forms of party politics… well it should be… it should be welcomed by anybody in India regardless of differences otherwise,” Sumantra told IANS when queried on apprehensions on censorship or objections if any, by politicians or other groups. “Raag Desh” is essentially the story of the famous Red Fort trial of three INA officers (Colonel Prem Sahgal, Shah Nawaz Khan, Gurubaksh Singh Dhillon) that triggered much public outcry and imbued the nation with a patriotic fervour. Asked whether the Bose family could have objections to the film’s content, Sumantra reposed faith in the “Paan Singh Tomar” maker, noting his gravitas in the artform. “I very much doubt… he (Dhulia) is a serious filmmaker… he has done a lot of research. Also, it’s a feature film based on true eventsa so a filmmaker has certain legitimate license (cinematic liberties)a he is a seasoned filmmaker,” the scholar said. The film is presented by Rajya Sabha TV and produced by Gurdeep Singh Sappal. “Raag Desh” is slated for release on July 28. Dhulia has asserted the film’s content is in no way controversial as the INA trials are well documented. He has also clarified that it does not revolve around the mystery surrounding Netaji’s disappearance in 1945. Sumantra, who hosted the film’s team at Netaji Bhawan (Netaji’s ancestral residence) for a promotional, agrees with Dhulia that the revolutionary’s life is getting “overlooked” due to the controversies. “All these debates and controversies surrounding his afterlife is becoming a distraction… I agree with director that his life is becoming overlooked which is extremely unfortunate because it his life that is so rich with meaning and inspirations, especially for the young generation of India,” Sumantra posited. “It is also an event that most historians agree that led the British to take the decision to leave India,” he pointed out. 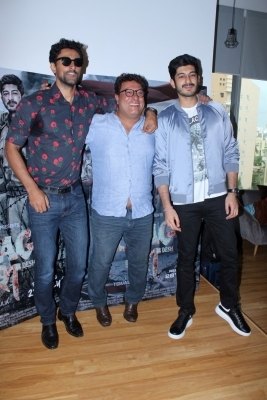 In “Raag Desh”, actor Mohit Marwah plays Colonel Prem Sahgal, Kunal Kapoor portrays Shah Nawaz Khan while Gurubaksh Singh Dhillon is essayed by Amit Sadh. “I have met many times two of three protagonists, Sahgal and Dhillon, in this very house. They (Mohit and Amit) are professional actors and I am sure they must have looked at the photographs, picked up mannerisms and facial expressions… footage that is available,” he said, adding the makers had sought advice from the family over various aspects like which sources to consult.